This is a hard book for me to review. On one hand, the writing was beautiful. I borrowed the book from the library, but I think I will have to buy the book, so I can underline so many of the beautiful sentences. I normally feel pretty "eh" about Neil Gaiman books. I know this is blasphemy, but something usually doesn't feel right to me about his books. The Ocean at the End of the Lane was not like that. The book felt complete and whole to me (although some things got wrapped up a little too tidy with little to no explanation). On the other hand, there were hard parts for me to read. One part was icky and another part was horrifying. I had my eyes half closed, and I kept the book as far as my arms would reach, while I read those two sections. These parts were hard to read, and while they needed to be in the book, I don't know if I could read those parts again. Can you love a book and hate parts of it at the same time? I don't know. This is why this book gets 4 stars. For those who are sensitive to child abuse, there is a scene that may trigger some feelings. It is not a book about child abuse. It is a book about a child fighting a monster. Unfortunately, this is a strong monster, and the child undergoes a scary moment. 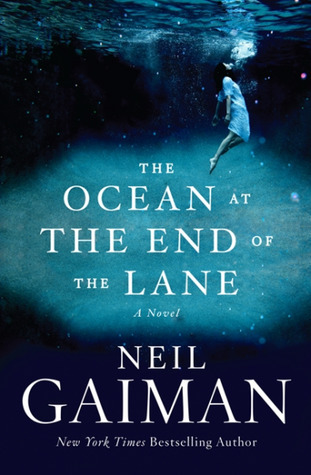 Sign into Goodreads to see if any of your friends have read The Ocean at the End of the Lane. 50.56% "I am scared to go to bed."